Priya*, aged 27, lives along with her father-in-law and two sons Varun* and Karthik*. Priya and her elder son Varun have been living with HIV and AIDS for the last two years. Priya’s husband Ramesh* was also infected. He passed away a year ago. After her husband’s death, Priya used to go for domestic work to provide for the family. She had to work throughout the day. Her health was declining too. “World Vision India supported us when we were in dire need and this has helped improve my children’s lives,” says Priya. They have been receiving monthly nutrition supplements and medicines from World Vision India for the last two years. Their CD4 count has improved commendably. They were also given assistance for monthly medical check-ups. The family also received Economic Development Assistance (EDA) from World Vision India. 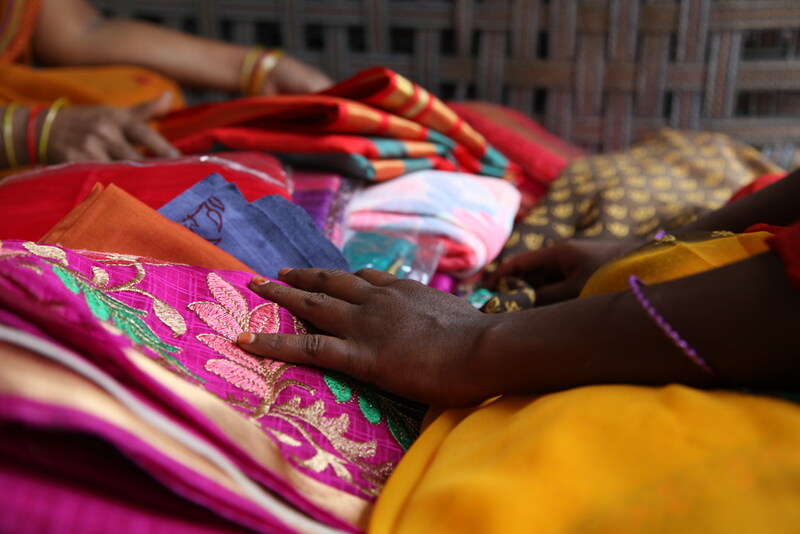 Priya gets sarees in bulk, which she sells going house to house, earning the family a fair income. However, this was not the situation a few months ago. “I had to work more hours to earn at least half of the income I earn now. I hardly got any time to take care of my children then. But now, with the new business, I get enough time to pay attention to their studies,” says Priya. “Moreover, it was really difficult to get the municipal water needed for our household because, whenever the water came, I would never be home. Now, I go around to sell clothes in the morning and stay at home in the afternoon. Hence, the water problem is also sorted. I still get customers at home in the evenings,” she continued, as she showed few sarees kept on a mat in the front room. They were meant for the customers who came to her house. 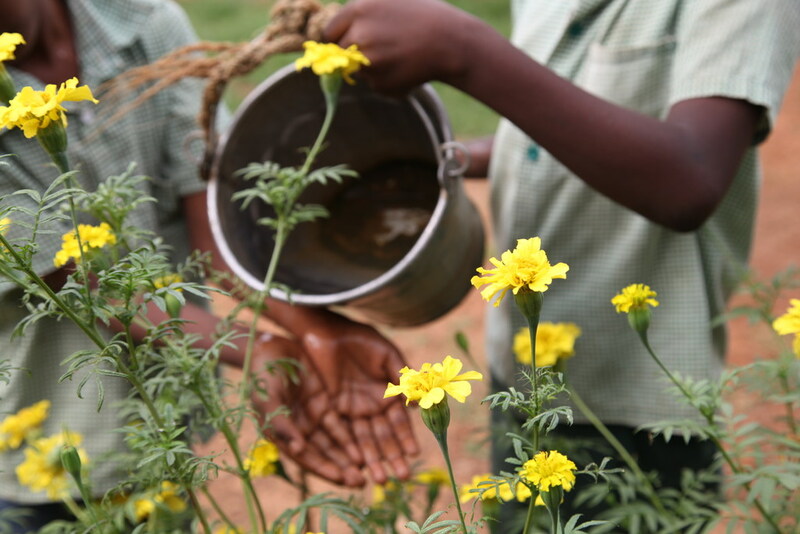 “Varun and Karthik water the flowers and help me with other small works at home,” says Priya. Both of them study in the government elementary school nearby. Varun is in the fourth standard and his brother is in the third standard. When asked about their favourite subject, both of them said it was Telugu. They go for tuition in the evening as soon as they are back from school. “Cricket is my favourite game. We play cricket often at school and during holidays with our friends in the neighbourhood. Weekdays are hectic as we have to go for tuition soon after the class. But, we watch TV in the evenings after finishing our studies,” says Varun. Varun recently had a major fracture on his leg. He had to be taken to a hospital in Chennai for a surgery. “They have put screws on my leg as the fracture was a bad one. It hurts at times. I could not play these days because of it,” says Varun. “He was admitted in the hospital for twenty days. It was World Vision India who bore the expenses at the hospital. I would have never been able to take my son for the surgery otherwise,” Priya said thankfully. Priya has got only one concern right now—the future of her children. She wants to educate them as much as they want. 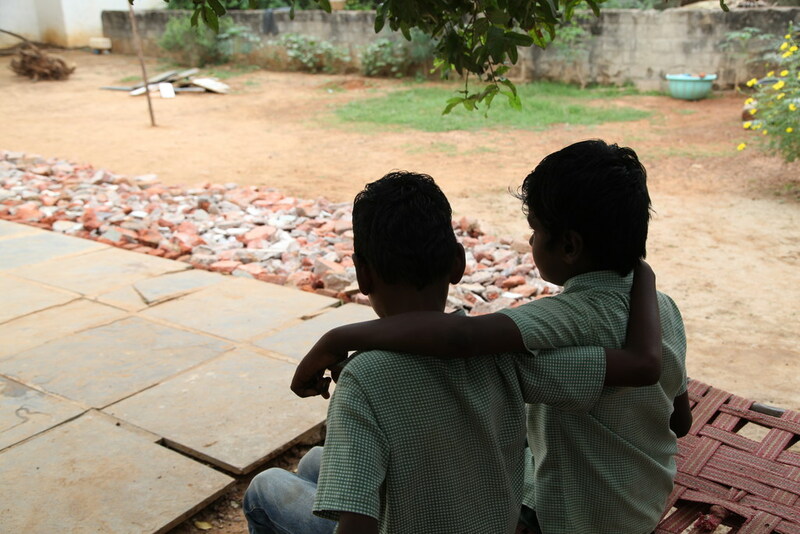 The boys already have got dreams of their own—Varun wants to be a doctor and Karthik wants to be a policeman. Even though Priya is aware of the hurdles she will have to face, she is hopeful of giving a better future to her children. “Above all, the psychological support Priya received changed her a lot. Earlier, she was afraid to mingle with people. But now, she is confident enough to go door-to-door, meet people and sell clothes,” says Karuna Kumari, a Community Health Coordinator with World Vision India. Priya regularly attends the meetings, training programmes and counselling sessions conducted by World Vision India. Gradually, she has come out of all her insecurities and started life anew. Along with her cloth business, she currently attends tailoring classes, which she hopes would give her a better living in the future.